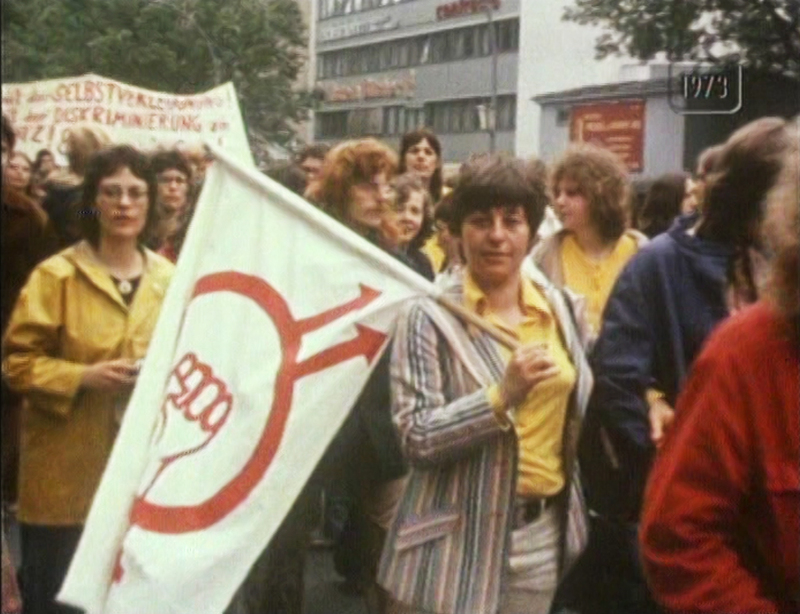 During its 8th cycle, the 12 Moons film program features four films that portray the social climate for women* and lesbians in Germany in the years between the 1970s and 90s, and document their practices of resistance. During what is often referred to as the Second Wave of the women’s movement, lesbians funded political initiatives that played a crucial role in the emerging social protests against repressive, patriarchal and sexist structures in society. For the first time on German public Television (ZDF), Eva Müthel’s documentary put the focus on lesbians and bisexual women. Among other locations, it was shot at the interregional Pfingstreffen (Pentecost meeting) with the participation of the women’s group Homosexuelle Aktion Westberlin/ Homosexual Action West Berlin (later LAZ, Lesbisches Aktionszentrum / Lesbian Action Center). The film gives an insight into the social and political climate of a time when, according to a representative study introduced in the film, 34% of the population claimed to be appalled by lesbian women, and when 71 % of the participants of the study stated that they did not find lesbians to be amicable. Even though the documentary caused a wave of protest from the public, and was partly contested amongst politicized lesbians, it managed to strengthen the lesbian movement and paved the way for representations of lesbians on T.V. The earliest feature length documentary about Audre Lorde chronicles her public and private life as a “black, lesbian, feminist, lover, mother, poet, warrior“ until shortly before her death, capturing her personality and life’s work. The film documents the political climate during Lorde’s lifetime, which sharpened her analysis of the living conditions marginalized people are subjected to. Her essays and speeches continue to influence and inspire movements worldwide – from Women’s and Lesbian movements, to Black and Women of Color movements. Time after time, she challenged white feminists to engage in intersectional thought and action. 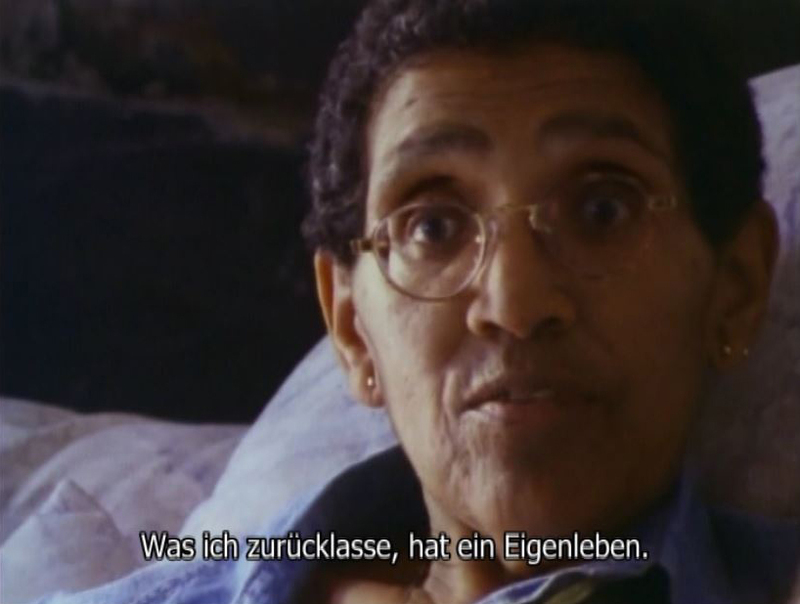 During extended stays in West Berlin, at a time when Lorde sought alternative cancer treatment and worked as a guest lecturer at Freie Universität Berlin (FU Berlin), she encouraged women in the emerging Afro-German community to find their own voices. Seven women living in a co-op in Ritterstraße (“Knight Street”) in Kreuzberg throw out the men living on their floor and decide that they want to change the world. This included throwing over the IMF and the World Bank, undermining power structures and communication patterns, and questioning everything from the private sphere to working conditions, property and gender relations. Based on personal letters, Barbara Teufel created a hybrid- film combining rehearsed scenes, archival materials and documentary footage. She traces events between 1982-1992: Labour Day 1987, different political actions against the IMF and the World Bank that these “female knights“ helped initiate, as well as the squatter’s movement that formed in East Berlin, subsequent to the fall of the Berlin wall. Full of longing and irony the film evokes the atmosphere of the Kreuzberg scene in the 1980s: “left, radical, anarchist, angry, affectionate, magical”. Organizing meetings for political actions overlap with personal anecdotes and the highs and lows of mundane life at the co-op. Ten years later, the original roommates from the co-op reunite to participate in the film. The world kept turning, and instead of the patriarchy, it was the wall that came down. 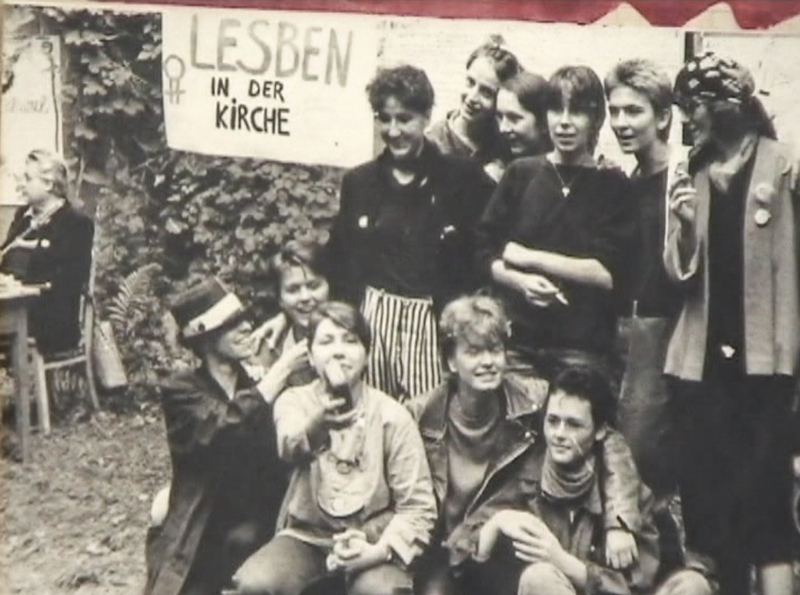 In the GDR, lesbian life was barely visible. The church provided the only opportunity and framework for lesbians to organize and establish a visibility in the general public. Between 1984 and 1986 a group of lesbians who were organized in the East Berlin Arbeitskreis Homosexuelle Selbsthilfe Berlin – Lesben in der Kirche (LiK) / Working Group Homosexual Self-help – Lesbians in the Church (LiK) attempted to participate in several memorial services at Ravensbrück, a former concentration camp for women. While trying to commemorate the persecution of lesbian women during National Socialism, the members of the group experienced first hand the ways in which the anti-fascist state completely denied the existence of lesbians. Twenty years later, four of these women recall the events and motives surrounding their actions, recount the harsh reactions by the organs of the GDR state and look back at the political activism of the group – all the while raising the question of why lesbians presented such a threat to the SED. 12 Moons is supported by the Senatsverwaltung für Kultur und Europa (Senate Department for Culture and Europe) as part of the project Year of the Women*.